Vishay’s infrared emitters and detectors with a 1.8mm dome lens are provided in compact gullwing, reverse gullwing and side view packages. These devices are now offered by TTI Europe. 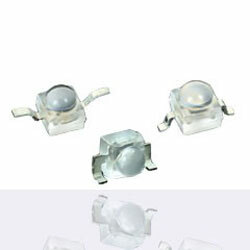 The emitters are available with various wavelengths, radiant intensities and viewing angles. Matching photodetectors are provided as PIN photodiodes or phototransistors with or without a daylight blocking filter. AEC-Q101 qualified parts are offered for automotive applications. The compact package dimensions include gullwing and reverse gullwing package at 2.3mm x 2.3mm x 2.5mm (2.8mm), and side-view package dimensions at 2.3mm x 2.55mm x 2.3mm.